I was asked by our high school Pro-Start team (they are chefs in training) to donate something for an auction to help them get to Nationals in Washington DC.. A chicken seemed appropriate for chefs. I joined together three pieces of barnwood to make the sign blank-- it ended up being about 28" x 18" in size. I painted a little yellow and turquoise and then grey for the background, using wood scraps as my brushes and leaving some of the wood exposed. 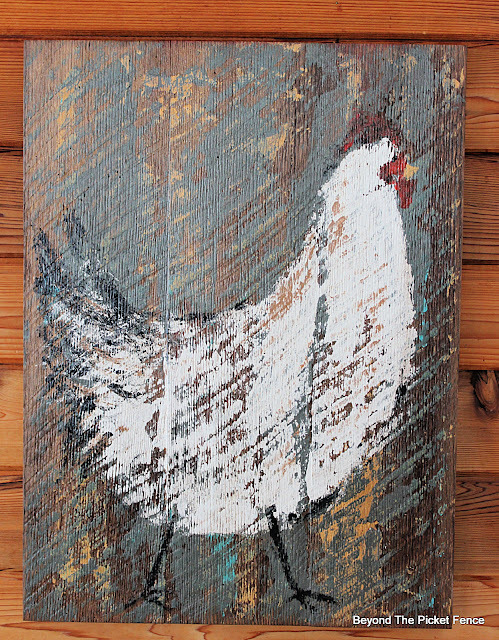 I then sketched out a basic chicken and shape and painted it, again using wood scraps. I use little small slivers of wood to paint the small details like the legs and comb. I finish the painting with a light sanding and stain and a clear coat. 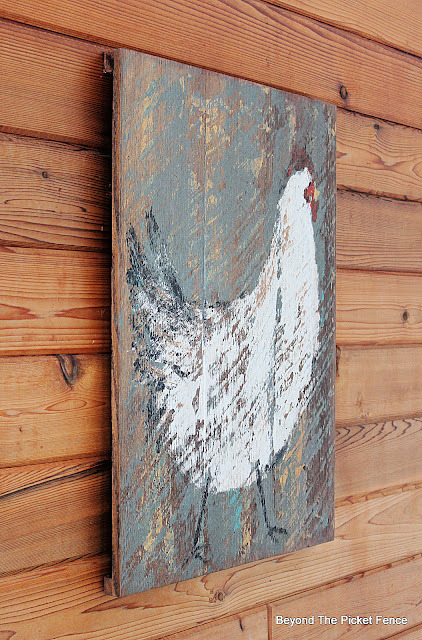 It is a fun, rustic, farmhouse sign and there was a bitty bidding war over it. That is beautiful, Becky! 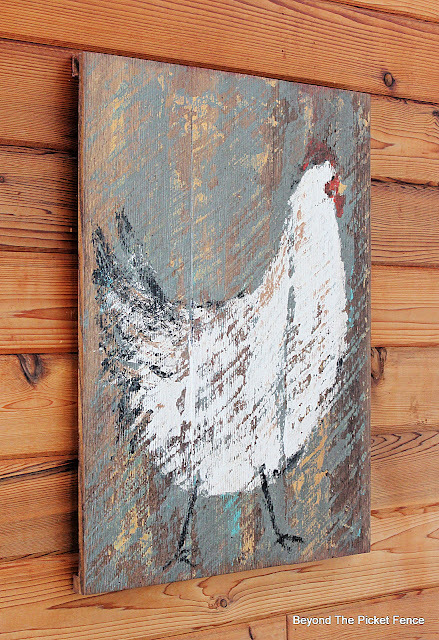 Truly - it is amazing how you took plain pieces of barn wood - and turned into a work of art! What an amazing gift! Thank you! I think the gal who "won" it was very happy. Wonderful, Becky! I can see why there was a bidding war!